Details about Hikari Discus Bio-Gold - 2.82oz or 2.2# Want It For Less? Look Inside!! 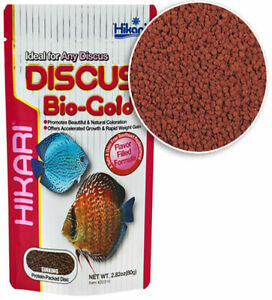 Hikari Discus Bio-Gold - 2.82oz or 2.2# Want It For Less? Look Inside!! Good deal! AAA+++ Rated seller! Thanks! Excellent product, Excellent Seller and Lightning shipping. Thanks.